My best friend and sister, Stefeni, recently gave birth to her first child, and my first niece, Olexa. 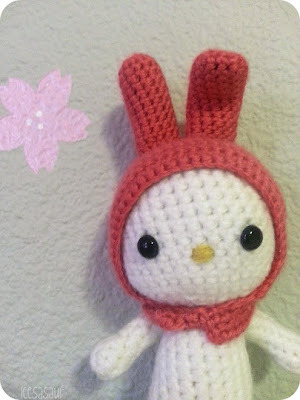 Growing up, my family and I were avid fans of Sanrio, and we each had our own favorite characters by them. 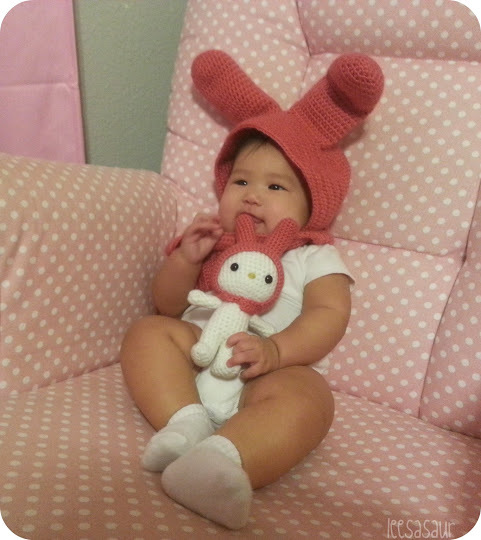 Stefeni's was My Melody, so I decided to turn her baby into a real-life My Melody, as well as give Olexa her own little My Melody. 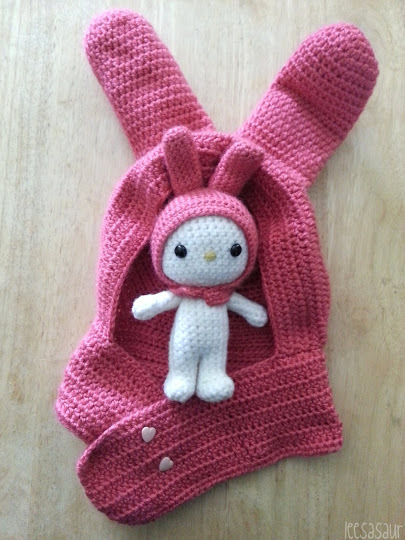 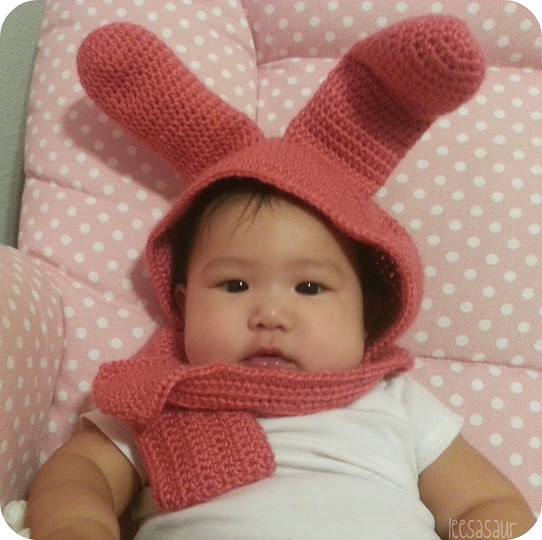 I haven't experimented much with crocheting clothing, nor am I familiar with baby sizing, but I attempted to make a bunny hat for her daughter.